CWR's Hu shares reflections from the CEWP workshop - where are we on safe drinking water for rural China? On 25-26 June, CWR’s Feng Hu was invited to speak at two sessions of China Europe Water Platform (CEWP) workshop, held during the Qingdao International Water Conference – “Relations of Rural Water and Food Security to the Water SDG” and “Addressing the Challenges – The Role of the Market & Innovation” – and sat on a panel on “Financing and how to develop bankable projects”. 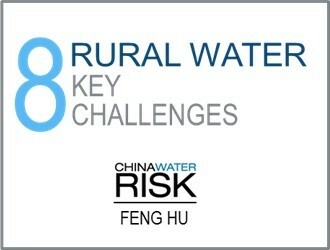 Rural water security is one of CWR’s focus areas. 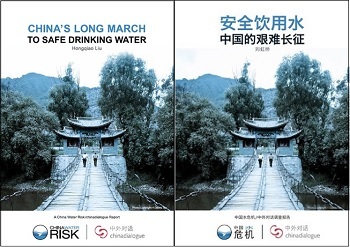 Back in 2015, CWR published a joint investigatory report titled “China’s Long March To Safe Drinking Water” with chinadialogue, which identified ambiguous ownership, unclear water pricing mechanisms, immature market mechanisms, a lack of rural business models and governance as key issues hindering China from “completely solving” drinking water. This article provides updates since the launch of this report and also reflections based on discussion during the CEWP workshop. Ensuring safe and secure water supplies to 1.39bn people over a land mass of 9.6mn km2 (nearly the size of Europe), isn’t an easy task for any government. 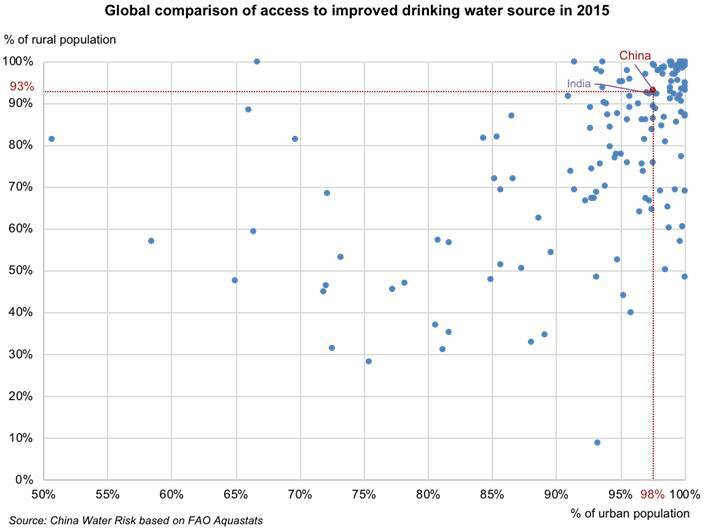 By 2015, 98% of China’s urban population and 93% of her rural counterparts had access to improved drinking water source (India fell 1% short on the urban measurement; see chart below). FAO defines an “improved” source as “one that is likely to provide ‘safe’ water”, but also admits the lack of established relationship between access to “improved” sources and access to “safe” water. According to WHO, an “improved” source could be “public taps or standpipes, tube wells or boreholes, protected dug wells, protected springs and rainwater collection”, as well as “piped water on premises”. Despite such murky definition, both China and India have come a long way. 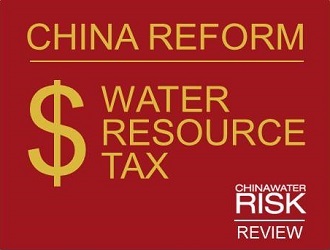 By 2020, China wants to provide centralised drinking water supply and tap water to at least 85% and 80% of its rural population, respectively. Financing will remain a challenge. Meanwhile, there are another eight key challenges to address to finish the last miles of this long march. There are now more people living in the cities than in the rural areas in China. By the end of 2017, 58.52% of the population lived in urban areas. By 2020, this percentage is expected to rise to 60% as per 13FYP. 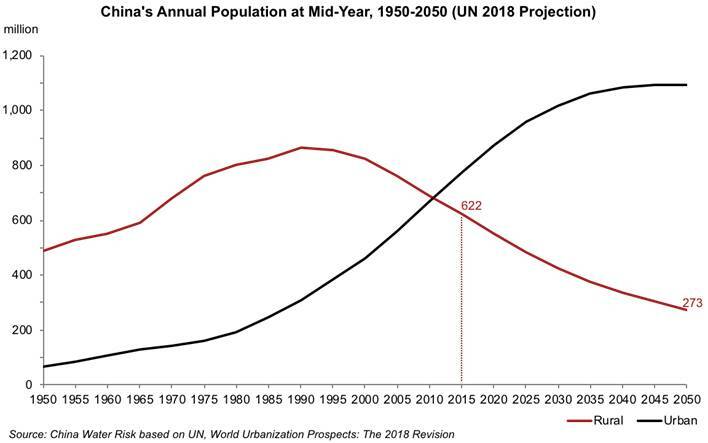 As this trend continues, by 2050, rural population is expected to more than halve as per UN’s 2018 projection (see chart below). As people become better off, the amount of resources consumed tends to increase, including the use of water (see next point). Meanwhile, many rural people are moving into cities, pushing up the urban demand. This means, even if future rural water supply coverage reaches 100%, the total number of served rural population in 2050 would actually be less than the current number. This has implications on choices of solutions and scale of new projects, as well as the allocation of financial resources. The prioritisation on urbanisation meant that more resources have been allocated towards cities and counties. As a result, urban water supply has progressed and improved much faster. The Chinese administration under provinces and municipalities includes generally five levels: city (市), county (县), town (建制镇), township (乡), and natural villages (自然村). In addition, there are special zones at town and township level (镇乡级特殊区域). As shown in the left-below chart, water supply coverage in 2016 ranged from 98.4% in cities to 65.2% in natural villages. The total length of China’s water supply pipelines could circle the earth at the equator 120 times! On the use front, agriculture (mainly irrigation) is obviously a big user, representing 62.4% of China’s total water use in 2016. For domestic water use, average daily per capita figure at township level has been on the rise, while that of city, county and town levels have peaked and stayed almost flat in the past few years (see right-above chart). At village level, the 2016 figure was 74 L/day/pax: although there is no comprehensive historical data, it is assumed to be on the rise and will continue to increase. Rural water management varies between different administrative levels, but also across regions. There are over 2.6 million natural villages in China, one fifth of which have village committees (more structured governance & better access to public finance) and are called “administrative villages”. 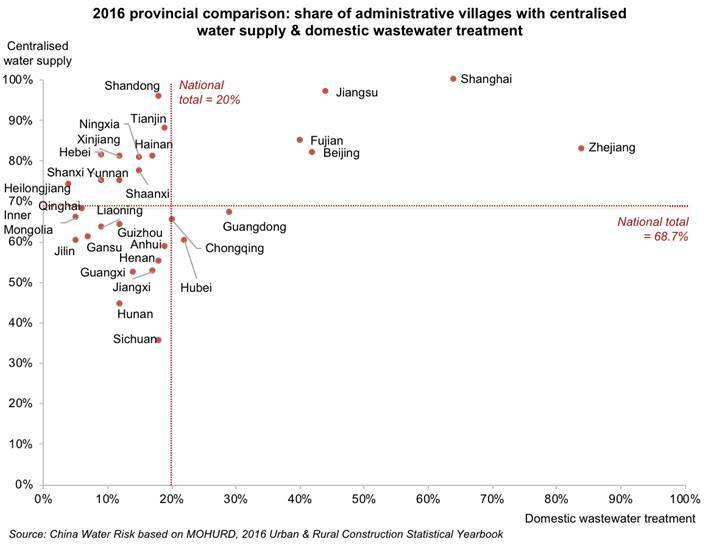 The chart below shows the share of administrative villages with centralised water supply and domestic wastewater treatment across provinces in 2016. At national level, the two shares stood at 68.7% and 20%, respectively. Only 5 provinces had both shares higher than the national level, all of which are located on the eastern coast with a highly urbanised population and developed economy. Clearly, there is significant room for improvement for most provinces. Water supply and wastewater treatment (and discharge) hold the two ends of the life cycle of water management. To properly treat wastewater and control discharge is as important as ensuring stable and safe supply. Another reason for the regional difference may be due to the size of villages. Amongst the >2.6 million natural villages, about 93% of them have a population less than 1,000 and 46% even have a population less than 200. Amongst the half million administrative villages, 47% of them fall under the 1,000-person mark (see charts below). A centralised drinking water source is defined as a water source that supplies a population over 1,000 people, according to “Technical guideline for delineating source water protection areas” (HJ338-2018) put into force on 1st July 2018. So technically, the majority of villages would have to adopt decentralised solutions. A lot of current efforts focus on expanding piped water supply systems. This makes sense for villages with a larger population. For those next to cities and counties, they can be connected to existing urban systems. Indeed, 33% of villages will be served by urban tap water systems by 2020. But, for many small and remote villages, large infrastructure projects can be financially unfeasible and/or technologically difficult. They need effective and economic decentralised solutions. In some extreme natural conditions, the local governments even have to resort to “ecological migration”. From a life cycle point of view, ensuring rural water security is to ensure the quantity and quality of water from the source, the supply, the usage, wastewater treatment to wastewater discharge. The first step is to secure the source. 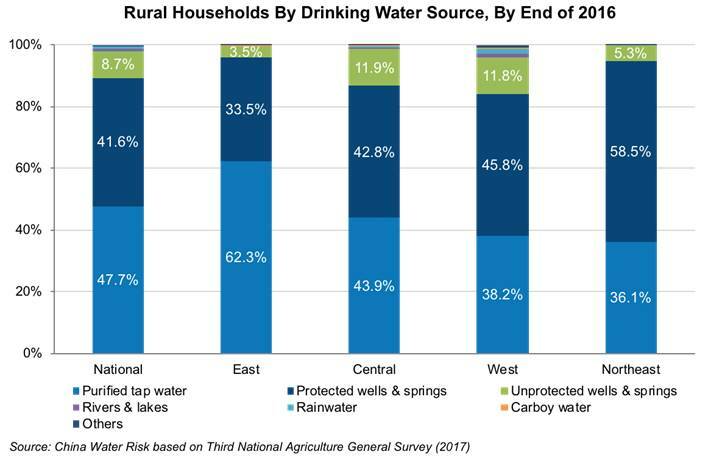 By the end of 2016, 47.7% of rural households use tap water for drinking; meanwhile, over 50% of rural households relied on groundwater water as their drinking source, where 41.6% relied on protected wells & springs, and another 8.7% relied on unprotected groundwater sources (see chart below). Groundwater reliance is even higher in Central, Western and Northeastern China. According to the latest State of Ecology & Environment report, despite the improvement in overall water quality, groundwater quality remains worrying, with over 60% of groundwater monitoring stations and points still in very bad or bad quality condition in 2017. Clearly, this poses a risk for those who source water directly from wells and springs. But even for tap water users, there is still potential risk in case the water works malfunction or fail to remove certain pollutants, if the water was originally withdrawn from a polluted river or groundwater. Pricing is important in managing supply and demand. Reforming the relatively low water tariffs and testing tax-based systems have been on the government to-do-list. Ongoing rural water tariff reform focuses on irrigation. Thanks to improved pricing and incentives such as water rights trading, irrigation water use has seen zero increase for five consecutive years. But, water price hikes are still seen as controversial for many smallholder farmers and low-income households. In addition, without water meters in place, it is unrealistic to think about fee collection, not to mention raising tariffs. Monitoring of rural drinking water sources is also lagging. The Water Ten Plan sets no hard target. It is reported by State Council that 700 counties and around 14,000 villages monitored their drinking water quality in 2017. However, the results are not publicly available. Moreover, the number represents merely 2.7% of the country’s half million administrative villages, or 0.5% if including all the natural villages. Given the vast number of rural source points, adopting monitoring technologies such as remote sensing and drones could improve the coverage and cut down costs. For instance, satellite images have been used to monitor eutrophication and groundwater depletion. But, innovation is still needed to cover many other parameters. China has set up a relatively comprehensive system of standards to regulate the quality from water sources to wastewater discharge (see table below). But, there is no specific national standard for rural drinking water sources, especially decentralised ones. The existing general standards (GB18918-2002 & GB8978-1996) have no specific discharge limits on rural wastewater treatment facilities. So far, only a handful provinces have issued local rural discharge standards. However, they either adopted less stringent limits compared to those on urban and industrial pollution sources, or only covered a limited selection of monitoring parameters. Once wastewater is released into the nature, it not only affects local water safety but could also lead to adverse impacts in the downstream. A national standard is needed to regulate rural wastewater discharge across the entire country. Ensuring rural water security deals with a complex circular system from source to discharge. But it is much more than just water management. As shown above, many different demographic and socio-economic aspects as well as natural conditions interact and limit the progress of a region to move towards 100% access to safe water supply. On top of that, there is also the impact of climate change, from affecting the availability of water to increasing the risk of water-borne diseases. All these factors are not static and are constantly changing the dynamics between demand and supply. Thus, we need a more holistic approach. It shouldn’t be based on a simple aim of increasing supply or adding treatment facilities. The decision-making needs to take into consideration many different factors and scenarios. In China, the change of mindset is already under the way. 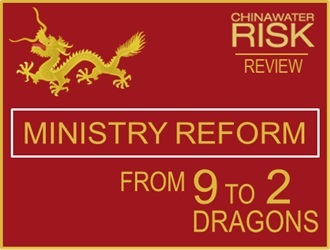 Earlier this year, we saw the end of “nine dragons managing water”: the dispersed government responsibilities in water are now consolidated into two ministries (see CWR review here). New initiatives on water governance such as river chiefs and eco-compensation between the upstream and downstream, will see wider adoption across the country. All these point to a shift from single point management towards basin-wide management from mountains to the sea. The MEP reform that I talked about back in early 2014 is now a reality. I thus have great hopes and confidence that China will deliver safe and reliable water to all the rural households across the country, from Tien Shan mountains to coastal islands.